Southgate is a unique leisure destination, offering unparalleled views of the Yarra River and an eclectic mix of dining and shopping. This is also where you will find Melbourne’s finest restaurants, one of which – Tutto Bene, as the name suggests in Italian “Everything’s Good” offers a unique selection of risottos, among other Italian dishes. 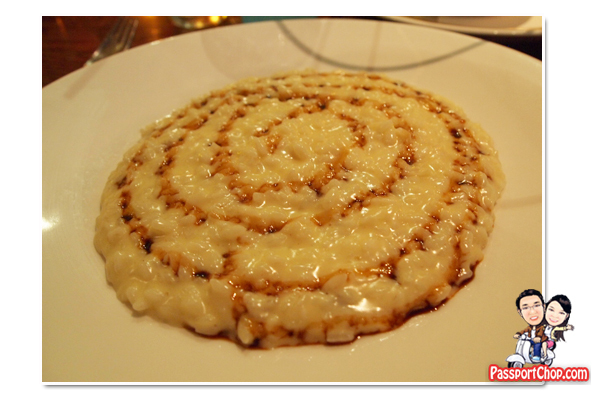 We had the opportunity to sample its Friday 3-course dinner risotto specials which included a uniquely-Tutto Bene risotto – The Risotto del Presidente (see picture below). It is a risotto of a unique combination of 3 year old Parmesan and balsamic vinegar produced from a 1912 mother must, created for the Italian President! This Second Piatti (Second Course) – besides risotto, the menu also offers beef, veal and fish dishes – is complimented with Antipasti (First Course). 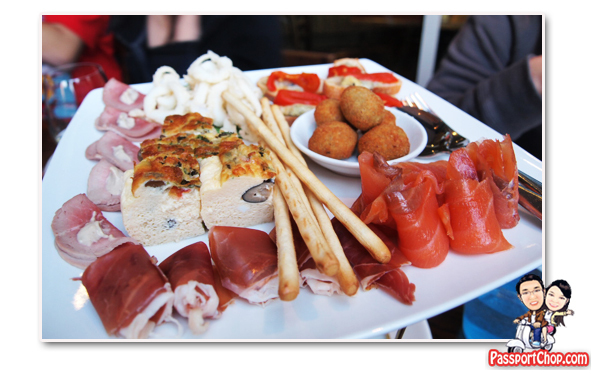 The first course is a platter comprising of a seasonal selection of cured meat, vegetable and seafood served in traditional Italian style (see picture below). The Risotto del Presidente might be an acquired taste, depending on your preference for vinegar; if you are not a fan of vinegar and you plan to try Tutto Bene’s signature risotto dishes, then the “Risotto con Granchio, Pomodoro e Peperoncino” might be a better choice. 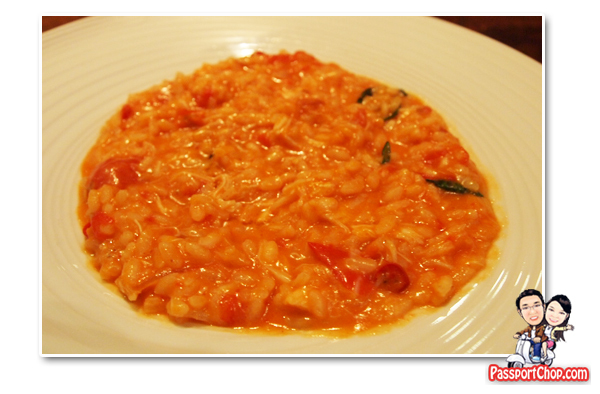 This is a tasty dish of Blue Swimmer Crab Risotto with Tomato and Chilli (see picture below).